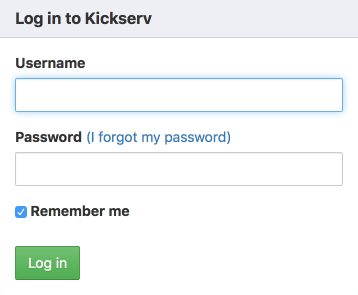 Having trouble logging in to your Kickserv account? Here are some steps you can take that may help. Your account could be temporarily locked after too many incorrect attempts. Wait 15 minutes and try again. Is your browser's autofill capitalizing the first character of your username or password? Here are some tips on how to manage autofill. Remember that your username is case sensitive. If you signed up as "Fred", you will not be able to login by typing "fred". So make sure your caps lock is set appropriately. 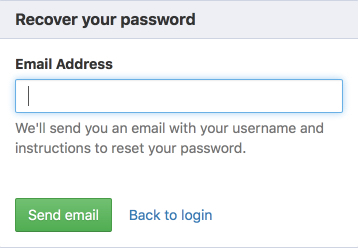 Recover your username and reset your password by clicking the "I forgot my password" link on the login page. You will be emailed a temporary access code that you can use to login. 3. Contact your office administrator. Any co-worker with admin permissions can reset your password for you. Note: once you're logged in, change your password right away so that only you know what it is. 4. If all else fails, clearing your browser history or trying a different brand of browser (Firefox, Chrome, etc.) may help. Be sure that you're entering the correct subdomain for your account. 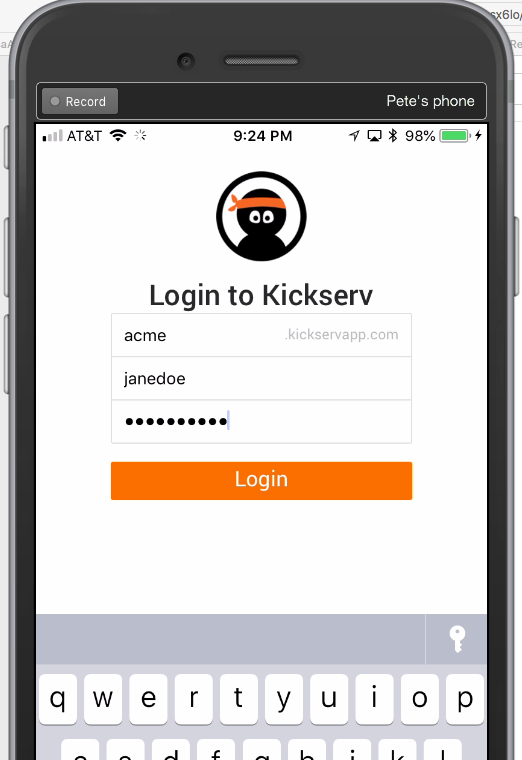 If your Kickserv website is at https://acme.kickservapp.com , your subdomain should be "acme" in all lower case. Just like on the site, your mobile username is case sensitive. If your mobile device is improperly capitalizing the first letter of your username, be sure you make it lowercase before tapping the login button. Take your time typing in your password to be sure you've entered it correctly. As above, you can contact a co-worker with admin permissions to assist with resetting your password.